It’s second child time for me with what feels like a massive, stupendous age gap between my new baby and my older one, who is six years old now! What I have been most surprised about by having such a large gap between my children is the amount of things that have changed in those intervening years. Alongside the various sleep updates and feeding information, someone came along and completely re-evaluated car seats and laws. Wah! As if having a small over emotional baby wasn’t enough! Finding a car seat sounds so simple but the reality is that the choice is overwhelming, and if I’m really honest, I don’t totally understand all the new seats on the market. What’s i-size? What’s ERF? I even visited a well known baby shop, spoke to a lovely sales assistant and was still none the wiser despite her talking to me for goodness how long. My daughter is not a fan of her current car seat and it makes for a stressful drive when she is so upset – so I have a half idea of what doesn’t work for us, but finding answers to all of my questions about the differences in brands and positions, I find just overwhelming. In fact, on that fateful car seat shopping trip, I left the shop without a new car seat and instead, decided to do some research and arm myself with more information. 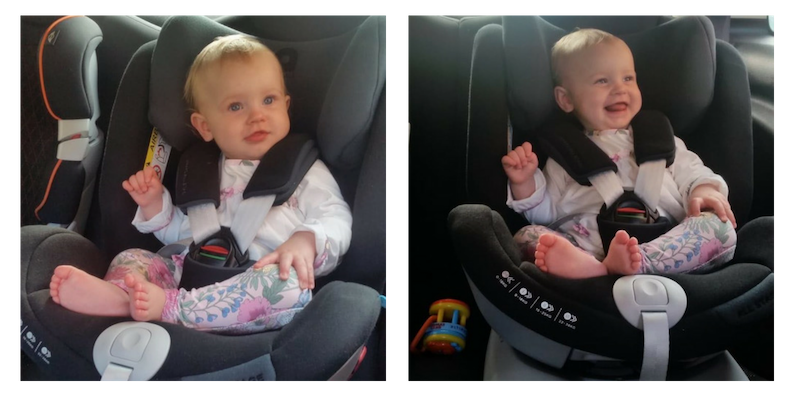 After doing some digging around, and talking to a few people, I was chatting to Kate from The Motherload®, and she asked me to road test a car seat that she’d recently been sent for review; the new (universal fitting) Apramo All Stage child car seat. I jumped at the chance! 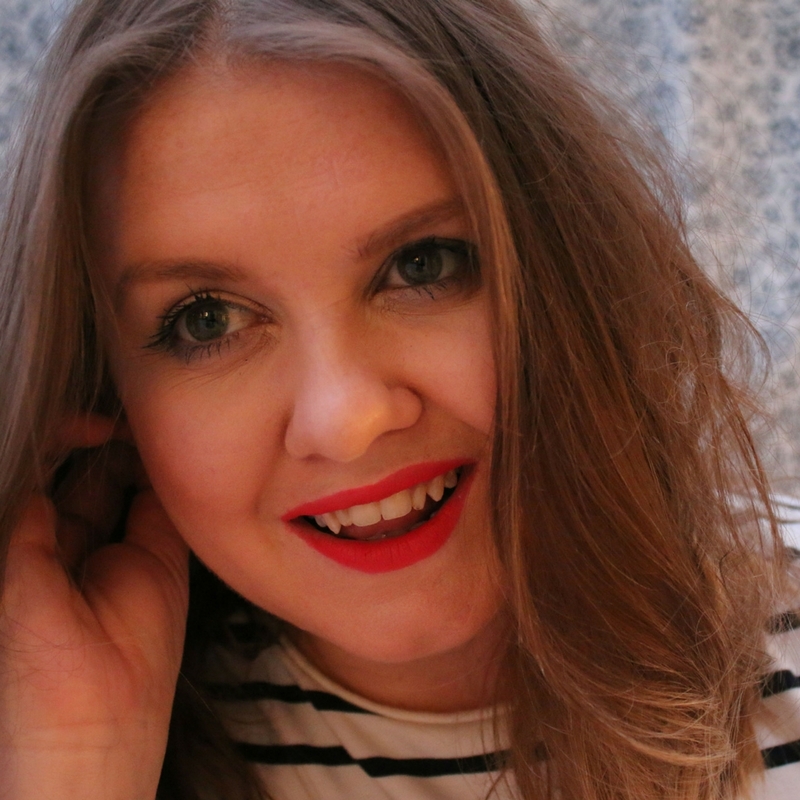 As she ran through the spec, it was like the checklist in my head that I’d been building up while doing my research was having every box ticked – and of course I was going to grab it with both hands – It meant I no longer had to choose a car seat on my own. The box stated “The ONE and ONLY child car seat you will ever need”. That’s a pretty grand statement, so I put on my Car Seat Critic’s Hat, and investigated further. Kate brought over a huge box, and I opened it to pull out a complete car seat; you don’t have to piece it together like a jigsaw puzzle. Its emerges from the box in Group 0 state with all the padding attached and straps ready to use in the smallest size. The seat feels soft and exceptionally comfy with layers of padding that you can remove as your child grows. 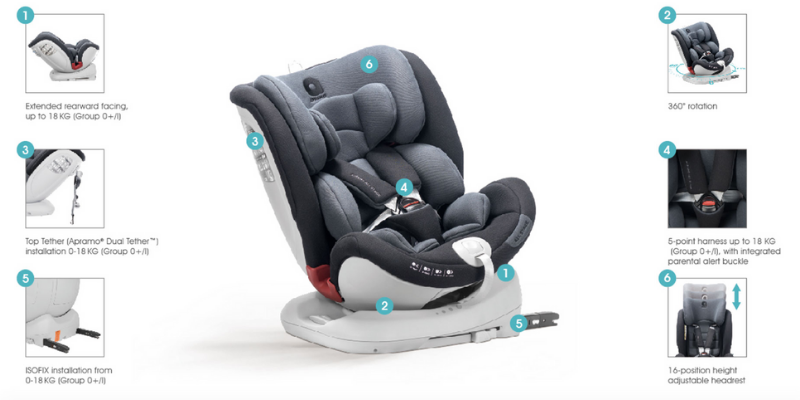 It has extra deep metal reinforced wings that protect from side impact and an integral five point harness (up to 18kg) for keeping those little ones snuggly in place. The material is strong and wipeable, and I liked the sleek style. The car seat is from Group 0 to III, or 36kg, which is around twelve years old. While conducting all that research before buying, the one thing I went back to time and time again is extended rear facing, or ERF. If you don’t know what this is all about, don’t worry – nor did I until I looked into it, so let me explain a bit more. When forward facing, if you are travelling at 30mph and your car is in an accident, your head will fly forwards at 30mph until your neck stops it, which pulls on the neck and bones (like you pulling on a stack of lego blocks). It is very easy to injure the neck and nerves like that, hence why whiplash is one of the biggest injuries in a minor accident. When rear facing, the shell of the car seat stops the head flying forward, so your child’s neck doesn’t have to do all of the hard work. Until the age of four, the neck bones aren’t fully developed and children’s heads are very large compared to their necks which all contribute to injury in collision. But this injury can be minimised when rear facing. 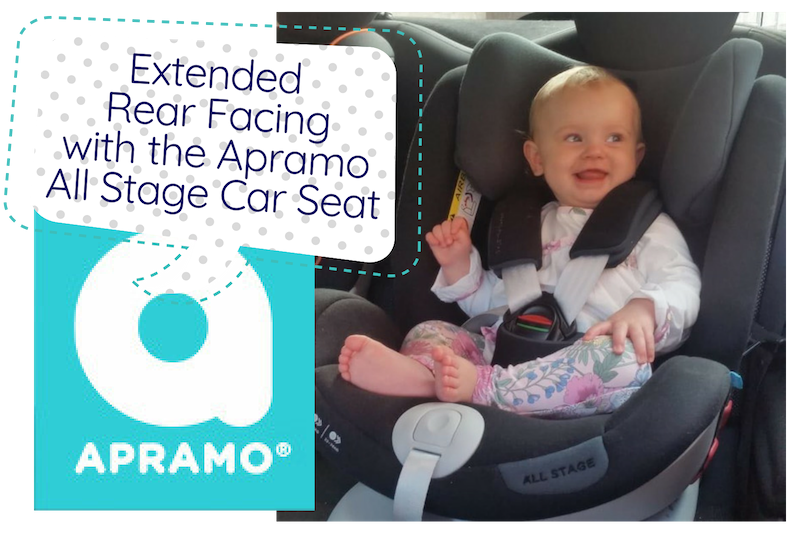 What is amazing about the Apramo All Stage car seat is that it not only offers all of the above safety features, but also extended rear facing up to 18kg, which for an average child is around 4 years old. As a parent, knowing that my child has this extra protection for that little while longer is priceless. Next step was fitting it into my car, a Mini Cooper. Unusually for a car seat, its roomy without being bulky – I had imagined it would be huge and unwieldy to install, especially in such a small car, but it was easy and slotted in like a glove. The top tether (Apramo dual tether for extra security) anchored into place and the Isofix connection was a breeze – literally a click into place. It’s worth noting that the seat is also compatible with a 3-point vehicle belt fitting if your car doesn’t have Isofix, so this really will suit most vehicles. The first school run with Madeleine on board was fantastic. The seat swivels round (360 degree rotation) so you can put the baby in and then turn into rear facing position. It has a one pull harness adjustment to keep them in place and a ‘non slip’ backing to the harness pads which prevents little arms from escaping under the harness during travel. Any parent will know the frustration of those little arms escaping and the battle to keep the straps where they should be! There is also the ability to tilt the car seat back – the seat has 4 recline positions, so when Maddie fell asleep her head did not slump forward. The Apramo All Stage seat is really easy to adjust with one hand and Madeleine absolutely loves it. The best feature being the release beeping noise. When the harness is released the car seat warns you that it has become undone by beeping 4 times. At the moment this isn’t a necessity as my child is small, but as a mum of an older child too, I know from experience that as time goes on and Madeline grows stronger and older, it is fabulous to know that the car seat will notify me if she undoes the straps herself. Did I also mention the green sticker that pops up on the harness clip to let you know it is all locked safely into place? It’s just another fab feature for peace of mind. So, is it too good to be true? Well the downside to the seat is that is heavy to heave around; so it is probably not for you if you want to carry it in and out of the car numerous times a day- but realistically, who is going to do that? As this seat promises to be for all stages, considering how it will be in a few years is important, but this is a strong, durable, well-made car seat that will easily withstand the test of time. Most importantly the ergonomic design will cradle Madeleine and protect her in the event of a collision. I couldn’t ask for more. Although, Apramo, if I had one wish it would be that it could have an inbuilt cup holder – great for long journeys! So, The final verdict is pretty easy, even with my Car Seat Critic’s hat on. All in all, The Apramo All Stage seat really will be the ONE and ONLY child car seat we will ever need for Madeleine, and I can’t recommend it highly enough. Advertising Disclaimer: Melissa received the Apramo All Stage Car seat in exchange for this review, but as with all products that The Motherload® review, this is a true and honest account of her findings.